Fritjof Capra, bestselling author of The Tao of Physics and The Web of Life, here explores another frontier in the human significance of scientific ideas--applying complexity theory to large-scale social interaction. In the 1980s, complexity theory emerged as a powerful alternative to classic, linear thought. A forerunner of that revolution, Fritjof Capra now continues to expand the scope of that theory by establishing a framework in which we can understand and solve some of the most important issues of our time. Capra posits that in order to sustain life, the principles underlying our social institutions must be consistent with the broader organization of nature. Discussing pertinent contemporary issues ranging from the controversial practices of the World Trade Organization (WTO) to the Human Genome Project, he concludes with an authoritative, often provocative plan for designing ecologically sustainable communities and technologies as alternatives to the current economic globalization. 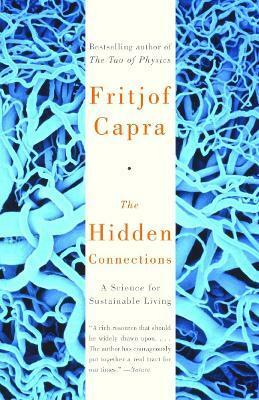 Fritjof Capra, bestselling author of The Tao of Physics" and The Web of Life, here explores another frontier in the human significance of scientific ideas--applying complexity theory to large-scale social interaction. In the 1980s, complexity theory emerged as a powerful alternative to classic, linear thought. A forerunner of that revolution, Fritjof Capra now continues to expand the scope of that theory by establishing a framework in which we can understand and solve some of the most important issues of our time. Capra posits that in order to sustain life, the principles underlying our social institutions must be consistent with the broader organization of nature. Discussing pertinent contemporary issues ranging from the controversial practices of the World Trade Organization (WTO) to the Human Genome Project, he concludes with an authoritative, often provocative plan for designing ecologically sustainable communities and technologies as alternatives to the current economic globalization.